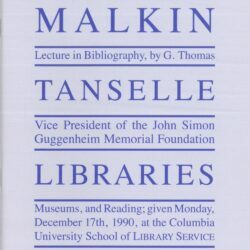 Tanselle, G. Thomas. Introduction to Bibliography: Seminar Syllabus. Fifth BAP edition, 2002. 370 pp. Also available as a PDF file.